We’re trying to choose a carpet for the living room and it’s turning into the world’s biggest faff, partly because I have never known another human being as indecisive as Mr AMR, who can deliberate over some minute detail for well over a month, but also because it seems to me that approximately 98% of carpets look exactly the same. I don’t know whether you’ve been into a carpet shop recently, but it’s honestly as though they are playing a Candid Camera prank on you. Half of the displays look indistinguishable from one another, with the same bleachable, washable, non-moth-eat-able synthetic pile in fifty shades of grey and twenty shades of light beige. You work your way through the piles of rectangular samples, slapping them down one after another and thinking that maybe you’ve gone colour-blind because each shade of “wheat” looks almost identical to the last one. “Can I help you guys?” says the chirpy man with his name badge on upside down. “There’s also Greige,” says Bob, who is luckily still called Bob whichever way up his name badge is. So we have about seventy thousand squares of carpet on our living room floor. Which is actually rather a nice and historic wooden floor – looks quite grand, dates from the early nineteenth century – but with two tiny children and a dog and a cat flying about it is basically just one big sound effects machine. Two sets of little feet, bang-bang-bang-bang, round and round. Dexter the dog’s toenails, tap-tap-tappety-tap-tap, up and down the room. The remote controls for the telly and the Sky thing, dropped from the sofa every ten seconds, CRASH-SMACK-CRASH. The wheels on the Paw Patrol ride-on helicopter, gauging out huge scratches in the antique planks, SCCRRRRRRRRACKKKKKKKKK. Aurally, it’s like living in a rainforest cabin with a tin roof that has been built beneath a tree that houses a troop of hyperactive monkeys. So although I don’t particularly want a carpet, for now it’s a necessity. Also – and I don’t know whether anyone else with an old house has noticed this – there’s an actual draught that comes up through the gaps in the floorboards. Apparently it’s a good thing, because it shows that all of the air is circulating properly and you have a good clear gap beneath your floors (I have no clue either), but if there’s one thing we don’t need, it’s an extra draught. So down goes the carpet and at the very least it’ll protect the floor from being criss-crossed with the many scars of the ride-on baby walkers and push-along trolleys and old, squeaky dolls’ prams. But sifting out something nice, something elegant, something with a bit of je ne sais quoi, is hard work. 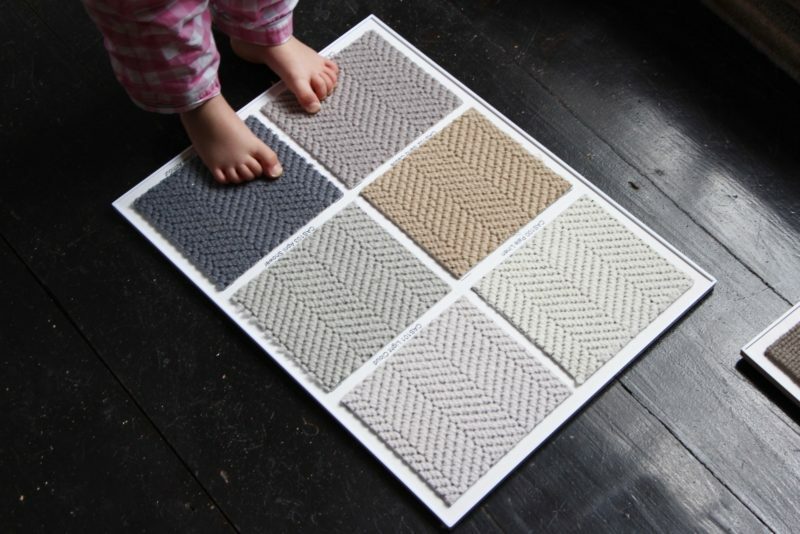 A lot of the carpets look like those bathroom sets – do you remember the ones that had the mat for the bath and then the carpet for around the loo? Who thought that those were a good idea?! I mean, a carpet that has been specifically designed to mop up errant droplets of p*ss? How often would you have to wash such an item? Was that what they were called? Do they still make them? Does anyone have one? So many questions, so little time. Please answer below, I’m rather excited by this. I thought that pedestal mats had gone out with the eighties. So far, I’ve managed to fall in love with the two most expensive carpets in the whole of Somerset, and they didn’t have the price on them so it wasn’t as though I knew that they were dear. I must just be drawn to things that are fantastically beyond my budget. Firstly, I love pretty much everything from a company called The Alternative Flooring Company; in particular this Barefoot Taj carpet. 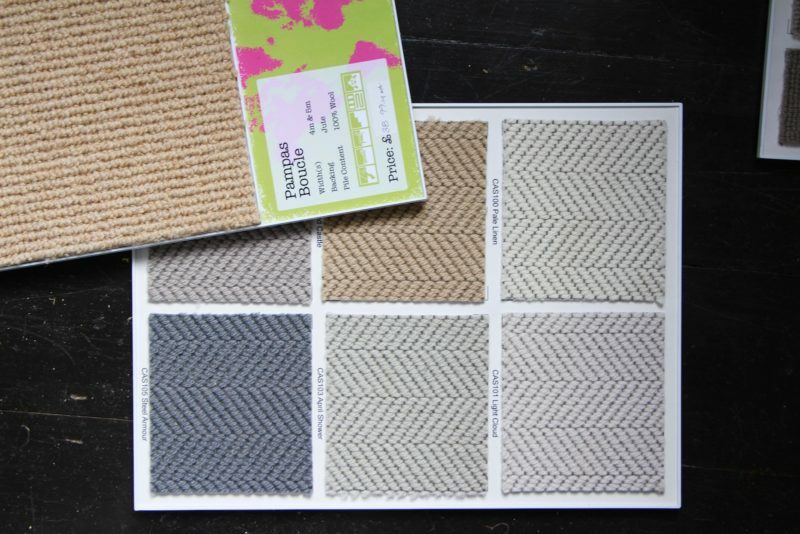 But they also make bespoke rugs from all of their carpets and price them by the metre, so I’m wondering whether I might hold off for a while and then get two huge rugs made once I’ve seen how we get on with the main, plain carpet. 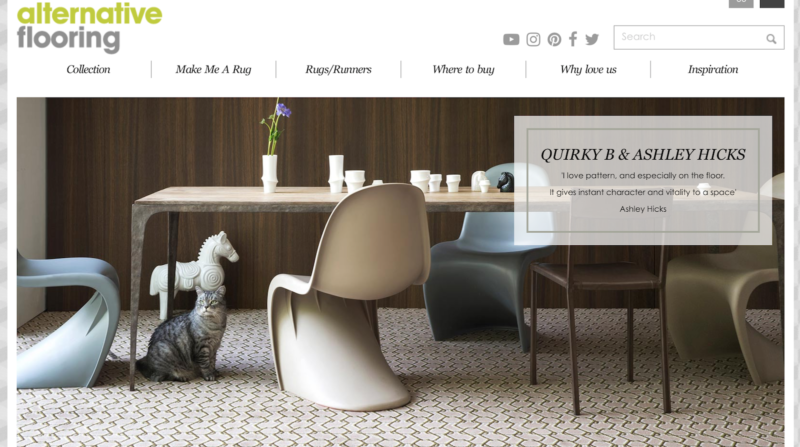 Definitely have a browse on their very stylish site if you’re looking for something a bit different, flooring-wise; they have Liberty prints and all sorts. Very unique and inspiring. 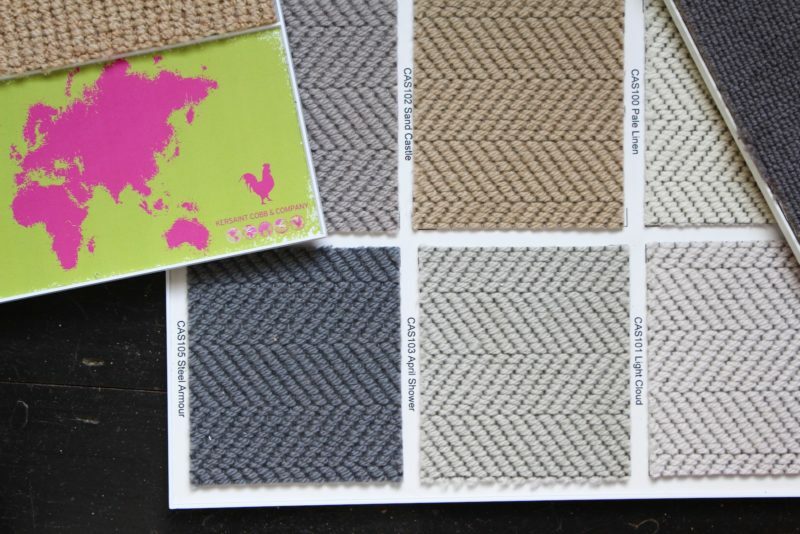 The other carpet company I came across this week was Kersaint Cobb. who make a carpet that looks like a knitted jumper. Gorgeous. 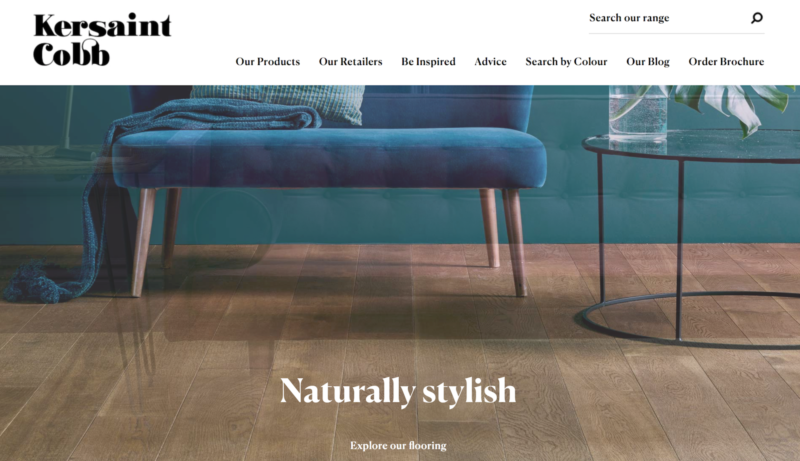 Again, they have a very stylish website; it’s more like browsing on Heals than one of the – ahem – more perfunctory, get-it-done, bish-bash-bosh sort of flooring places. And, bloody hell, carpet is so expensive; why shouldn’t it feel like a luxury purchase when you’re browsing? Why shouldn’t you see the flooring as a style statement, as an important part of the whole interiors “scheme”? It’s as important as the wallpaper, probably, or at least it is if you have young kids and you spend most of your time looking at the floor! Anyway, I’ve bored you enough about carpets for one day. Needless to say I’m not returning to the “hey guys!” place, mainly because they only had grey and beige carpets, but we do have a lovely chap coming to do some measuring tomorrow from an independent local place. And he stocks both of the above brands that I seem to have gravitated towards, so I am going to drill him for information in my usual excruciating manner, asking lots of questions about moths and roll widths and seaming. Ooh err. I need to get out more, clearly. Previous Post The Work-Life Balance: Does It Even Exist?